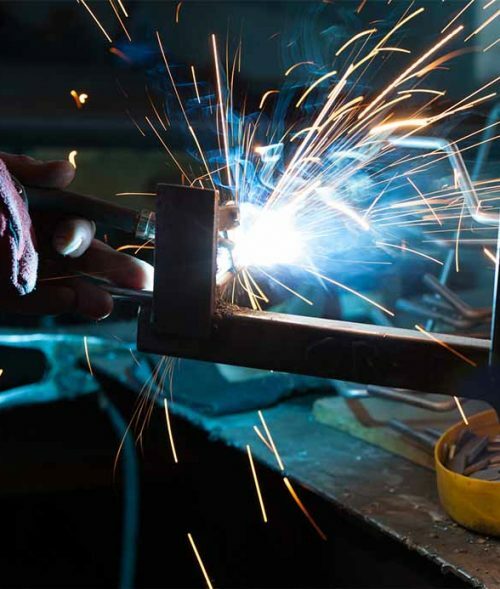 Metal fabrication is a broad term referring to any process that cuts, shapes or molds metal material into a final product. However, Gale Marine understands that when manufacturers require a non-standard component or unique metal product, custom fabrication services can provide both design and production assistance for these built-to-order parts. We do large and small custom fabrication. We also serve the residential, agricultural and industrial markets. Whether it is simply a broken part or a bearing on existing equipment that needs repair or a new piece built, we take care of all types of agricultural and industrial service. We are more than willing to work with any of your ideas and special needs. Gale Marine does custom trailers for whatever you need to haul. Can’t find the right size for your boat, snowmobile, ATV or multi purpose job? We can make it! We pay attention to the details and build it like it was our own. Gale Marine specializes in general metal fabrication of steel, aluminum and stainless steel products. CONTACT US FOR MORE INFORMATION ON A CUSTOM MUD BOAT BUILT MIDWEST TOUGH!